Our premiere skin tightening and wrinkle reduction treatment for the FACE. Consultation is required for this service. Pellevé precisely heats the deep layers of your skin using advanced radiofrequency technology without damaging the epidermis, or top layer. The heat causes the collagen in your skin to contract and tighten. After the treatment, your skin will start to produce new collagen. The result is an improvement in skin quality, firmness and tightness you can see and feel. Many people start to see results immediately after just one Pellevé treatment. Q: How is Pellevé different from other skin tightening treatments? A: Pellevé has been proven to provide safe and effective skin tightening in medical studies. Because Pellevé is a non-invasive procedure, meaning no surgery is required, there are minimal side effects and discomfort. Unlike other systems, no anesthesia or skin cooling is needed during your Pellevé procedure, so you can return to home or work immediately following treatment. 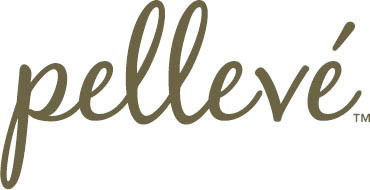 Schedule a consultation with our licensed aesthetician to see if Pellevé is right for you. A: You will feel a deep warming sensation each time the Pellevé handpiece touches the area being treated. Because no anesthetic is required, you’ll be able to describe the depth of the feeling to your provider, which will help to ensure the best possible results. Q: How long does a Pellevé procedure take? A: Your Pellevé procedure will typically take about 45 to 60 minutes for a full facial treatment. Because Pellevé doesn’t require anesthesia or downtime, it fits easily into your busy schedule. A: You should expect to be able to return to your daily activities with no downtime at all. There is no restriction from being in the sun and you can also apply makeup immediately after the procedure. Some patients experience mild swelling and redness which typically go away within 2 to 24 hours.